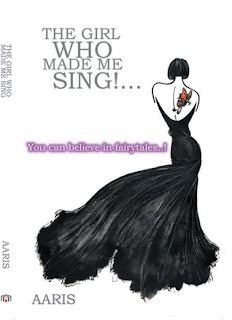 Today we are interviewing AARIS, author "The Girl Who Made Me Sing," a romantic comedy with a touch of black humour. The story is about a broken young man who has lost his way stuck in a abusive relationship. He is saved from this life by the power of music. He meets a beautiful woman who teaches him to sing and they embark on a wonderful romantic adventure. The book allows the reader to remember their first true love and their childlike innocence, when they used to believe in fairy tales. Who do you think would most appreciate "The Girl Who Made Me Sing"? The book is aimed for individuals who feel trapped by their low self-esteems and looking for help. It reminds them, never to give up, and that sometimes magic happens and fairy tales do come true. What inspired you to write a novel about a young man who aspires to sing a song that uplifts those around him? Having been brought up in London, watching countless of west end shows and movies. I loved the feeling, of leaving the theatre very emotional, and I wanted to portray that in the book. The story is about never giving up on life. Ok, the story is based about love, but it's deeper than that. I use the power of music, to break the protagonist free from the shackles of his misery, which lives within him. 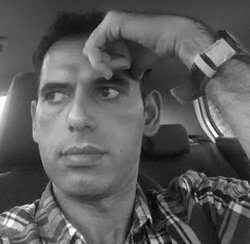 The story is about never giving up on your dream: on life. Thomas the character from the book, has lost his way, and trapped in a abusive relationship, which was also fueling his low self-esteem. AARIS, author of "The Girl Who Made Me Sing"
Thomas Christo was a confident handsome man, who had an embedded low self-esteem. Which gradually started to take more control of him. His girlfriend, used that to manipulate and control him for fear of losing him. Although Thomas Christo, had a magical endearing quality about him, that attracted people to him, he never allowed himself to believe or accept it. He never really knew how to use this power. The main character gets involved with a love affair that changes him. Can you elaborate a bit on this? Yes, Dani Daniels, who is the love interest in the story, allows him to believe in himself again, and break free from his internal prison. which allows him to start living again. “The Girl Who Made Me Sing” explores regret associated with missed chances. Why did you decide to explore this theme in the book? Yes, I wanted to explore this, as we all have regrets and missed changes in life, that if we could go back in time, would we still make the same decision? Did you draw upon your own beliefs and experiences when writing the book? Yes, the story is an amalgamation of my own experiences in life told as a synopsis, i.e. very quick short story. Can you tell us a bit about your creative process, from the initial idea for the novel to the finished manuscript? Well, when I write, I first write done my ideas and feelings and then build a story around that. I'm presently finishing my second book called which takes the main character from "The Girl Who Made Me Sing," Dani Daniels; and builds a new story around her. I want to take the readers on an emotional rollercoaster, allowing them to feel every emotion that Thomas experiences. Shedding a tear in the last chapter but most importantly, leaving them craving for more. "The Girl Who Made Me Sing" was my first published book, but I have been writing most my life, and mentioned earlier, I am currently finishing my second book. I feel I am a more polished writer now. My spelling, that needs improvement. To publish one book per year. Yes, would like to explore this avenue. Not, really, I like all types. Yes, I often do, but I seem to get inspired when I am out, walking, or having coffee. I seem to be able to write loads, when I'm out of my home. Very Strange! I firstly write my thoughts on pen and paper as I carry a paper notebook with me wherever I go. I then type them up at the earliest opportunity. My third book will be about conspiracy. Is there anything else you'd like potential readers to know about "The Girl Who Made Me Sing"? They should get a copy of my book haha! Seriously, I'm just an average bloke who loves to write magical stories, who maybe is slightly naive, but still believes in hope.